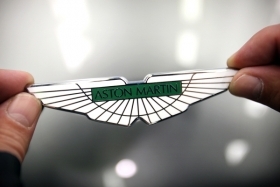 MUMBAI -- Aston Martin opened its first India showroom Friday as rising numbers of millionaires boost sales of high-end goods in the world's second-most populous nation. The dealership in Kemps Corner, a residential area in southern Mumbai home to Porsche and Mercedes-Benz showrooms, will be followed by one in New Delhi in May, according to Bill Donnelly, director of sales at Aston Martin Lagonda Group Ltd.
"We are entering the Indian market now because we think the timing is right," Donnelly said in an interview in Mumbai Friday. "The Indian market for high-end sports cars is small but growing very rapidly, and this is the first step for Aston Martin to get into this market." The maker of the Vantage coupe forecasts a quarter of its sales to come from Asia and the Middle East in the next five years from 10 percent, Donnelly said. Aston Martin will begin India sales as Ferrari plans to open a Mumbai showroom. Last week another of Fiat S.p.A.'s supercar units, Maserati, opened its first dealership in the South Asian nation, home to 55 billionaires as well as 800 million people who live on $2 a day. Aston Martin expects to sell as many as five One-77 supercars at 200 million rupees ($4.5 million) in India. The company, which Friday unveiled the models to James Bond theme music, will sell its cheapest car, the V8 Vantage starting at 13.5 million rupees ($303,657), and the Rapide sedan for 21.5 million rupees. 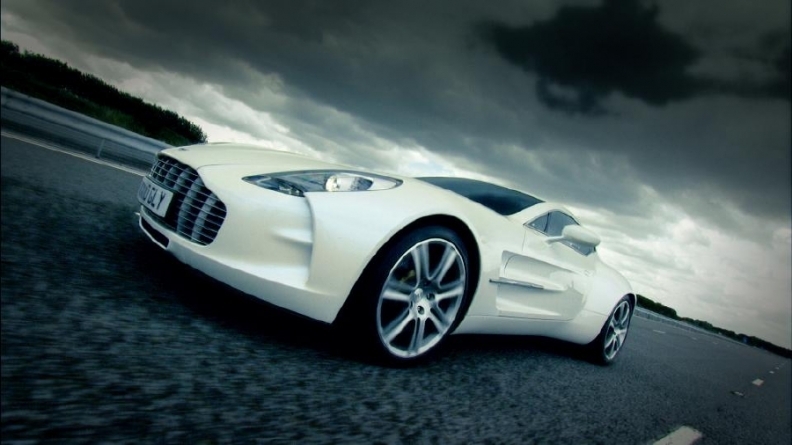 Aston Martin expects to sell as many as five One-77 supercars at 200 million rupees ($4.5 million) in India. The company may sell a total of 30 cars this year, Donnelly said. "Brands like Aston Martin and Ferrari will find India a very lucrative market," said Deepesh Rathore, the India head of IHS Automotive. "The wealth at the top of the pyramid is increasing exponentially." India's luxury-car sales may rise ninefold to 135,000 by 2020 from about 15,000 last year, he said. Increasing demand for luxury vehicles in India helped prompt Mumbai-based Tata Motors Ltd. to buy Jaguar Land Rover from Ford Motor Co. in 2008. Jaguar Land Rover, which opened its first dealership in the country in 2009, now has seven showrooms nationwide. It may begin assembling Land Rover SUVs in the country by the middle of this year, Rohit Suri, head of Tata's premium-car division, said in November. The company also sells the world's cheapest car the Nano, for 137,555 rupees in India. Premium carmakers are targeting India and China as growth there outpaces the United States and Europe. India's economy may expand as much as 9.25 percent this financial year, according to the finance ministry's annual Economic Survey. Suppliers of designer clothes, watches and handbags are also adding stores in India, where luxury-goods sales may triple to $14.7 billion by 2015, according to A.T. Kearney Ltd. and the Confederation of Indian Industry. "The growth in demand you will see in the next five years will be very significant," Ashish Chordia, the chairman of Shreyans Group, which sells Maserati and Porsche cars in India, said April 6. Maserati, which opened its first India dealership in New Delhi, plans to have seven showrooms nationwide by 2015. Swedish supercar maker Koenigsegg Automotive AB introduced its 125 million-rupee Agera sportscar in India on March 29 through InterGlobe Established Products Pvt., an affiliate of Indigo, India's biggest discount carrier. InterGlobe also plans to sell Arcadia yachts and Hawker Beechcraft airplanes in India. Volkswagen AG's Bentley unit added the Continental GT, which sells for 19 million rupees ($426,391), last week. The carmaker had 10 orders as of April 7, Chris Buxton, its regional director, said in an interview.